You can imagine my surprise when a huge box turned up at my door with a "Bubblegum Balloons" label stuck on it. "I haven't ordered any balloons..." I thought to myself, but as it turns out it was actually a gift from L'Oreal Paris accompanied by their new Neon Pop nail polish collection. The shades in the collection just scream Summer, with quite a diverse range of tropical colours including a white base to really make them stand out. There are eight colours altogether, but these are the ones I received. Probably my favourite out of the four, Wasabi Hint is what I can only describe as a different shade of green. It's not light enough to be described as a mint green, not dark enough to be forest green. I don't have anything like it! The formula is impeccable and is opaque in one coat. Yellows are really not my best friend when it comes to nail polish, but this may have just changed my mind. A bright yellow, Banana Pop is reminiscent of ripe bananas and really packs a punch on the nails. It's almost opaque in one coat but is slightly streaky, so two is best for this one. More in-your-face fuchsia than lilac, this one surprised me. It dries to a jelly-like formula and sets it apart from the others. It's a little sheer even with two coats, but can be built up easily as it's fast drying. What's a neon collection without a bright pink, eh? I wasn't expecting to like this one as I prefer pastel pinks, but I do. It really pops on the nails compared to in the bottle and I can see this being a favourite for a lot of people. As with Wasabi Hint and Banana Pop, it's opaque in two coats. Overall the Neon Pop collection has seriously impressed me despite not being the most neon of polishes, and wouldn't hesitate to purchase from the Colour Riche line. I have no complaints regarding the formula, and the thicker brush makes application quick and easy. The collection is available to purchase now from Boots and Superdrug. I'm already eyeing up more shades! 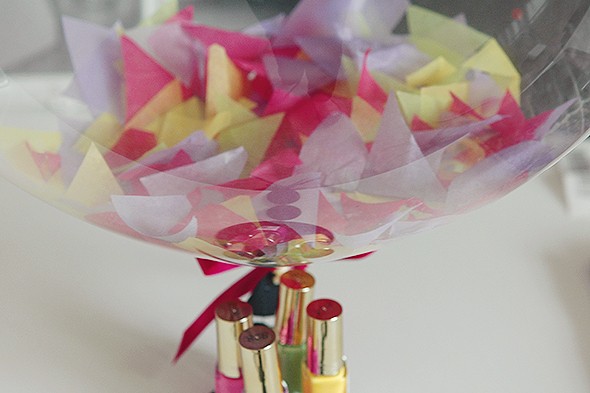 I love my L'Oreal Confetti so I'm sure I'd love these too! WOW! 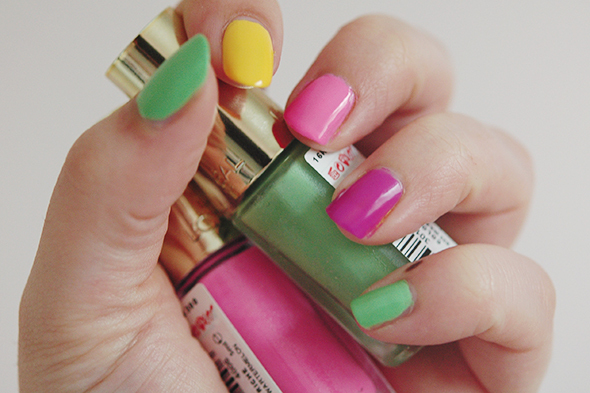 I need to get my hands on this yellow and bright pink nail polishes. I hope I can get my hands on these in France! I love the look of acid watermelon! And that balloon is amazing. I'm totally going to have to keep an eye open so I can pick these up! 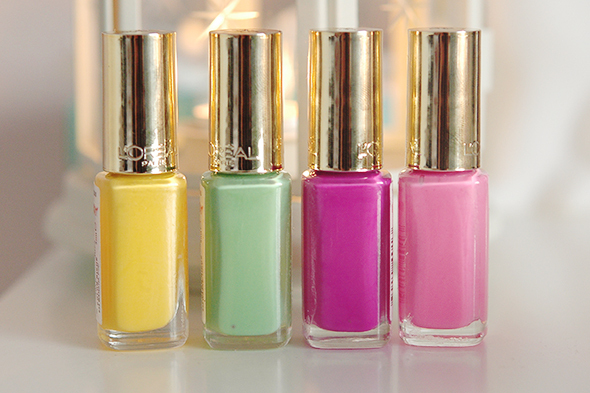 Dying to try a new neon lovely shades! Pretty collection...I see what you mean by not really being neon!